It was about this time that Gone With The Wind began to play in African American theaters, which were usually third- or fourth-tier theaters in the distribution chain. Because of what they had found in the novel, many reviewers for African American newspapers were apprehensive about the film. Many complained that the depiction of African Americans as happy in their subservient roles was offensive. Others commended the film for eliminating offensive scenes and dialog that were present in the novel. 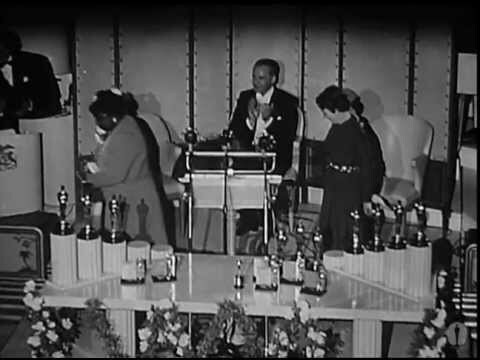 After the Academy Awards, praise in the African American press for the performances of Butterfly McQueen, Oscar Polk, Eddie Anderson, and, in particular, Hattie McDaniel, was passionate, even in those papers that criticized the film as a whole. 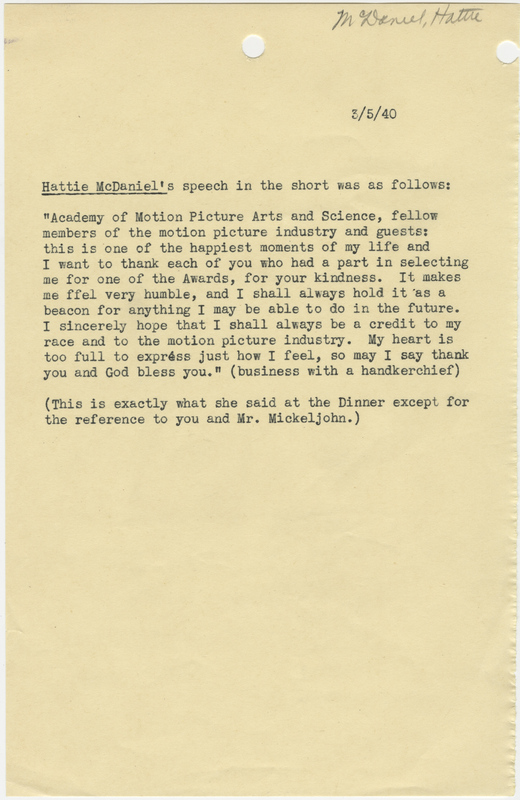 Hattie McDaniel’s acceptance speech for the 12th Academy Awards. Despite her Academy Award, better film roles did not materialize for Hattie McDaniel. Nor did film roles improve for African Americans in general. For more than two decades, parts for African Americans were largely limited to servants and entertainers until Sidney Portier won the Academy Award for Best Actor in 1964 for Lilies of the Field.